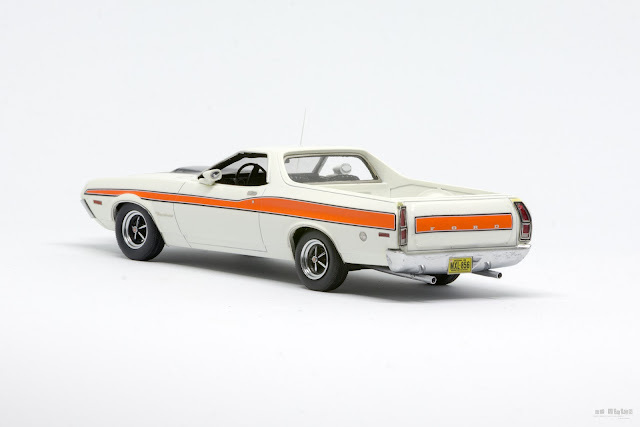 The Ford Ranchero is a coupe utility that was produced by Ford between 1957 and 1979. Unlike a pickup truck, the Ranchero was adapted from a two-door station wagon platform that integrated the cab and cargo bed into the body. A total of 508,355 units were produced during the model's production run. Over its lifespan it was variously derived from full-sized, compact, and intermediate automobiles sold by Ford for the North American market. 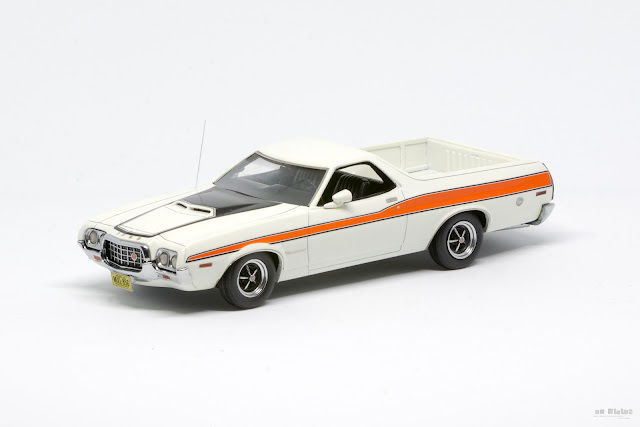 During the 1970s, the Ranchero name was used in the South African market on a rebadged Australian Ford Falcon utility. These vehicles were sent to South Africa in complete knock down (CKD) form, and assembled at the Port Elizabeth plant. 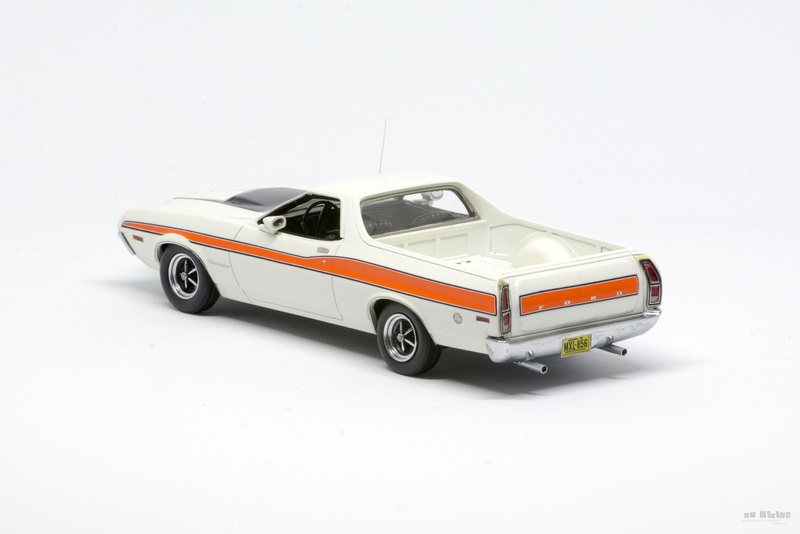 In Argentina, a utility version of the locally produced Ford Falcon was also called Ranchero. The original Ranchero sold well enough to spawn a competitor from General Motors in 1959, the Chevrolet El Camino. The first Ford Model T and Model A pickup trucks were created from roadsters by placing a pickup box behind the body of a car. In 1934, Ford Australia's designer Lew Bandt modified a coupe with a smoothly integrated loadbed that could be used like a car to drive to church or to deliver pigs to market. This created the coupe utility which remains a popular body style known as the "ute" in Australia. In North America, pickup trucks evolved into a heavier duty form with cabs and beds that were quite distinct from passenger automobiles. The Ranchero was the first postwar American vehicle of its type adapted from a popular sedan from the factory. It combined the sleek looks of a sedan with the utility of a light-duty pickup truck. In 1972, a radical change occurred in the Torino and Ranchero lines. The sleek, pointy look of the previous year's model was replaced with a larger, heavier design. Most prominent was a wide semioval grille reminiscent of a jet intake and a new body-on-frame design. Three models were still available; the now-standard 500, the new Squire with simulated woodgrain "paneling" along the flanks, and the sporty GT. 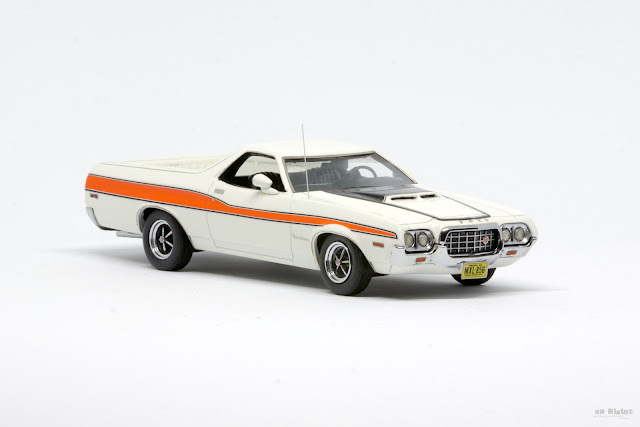 Engine choices remained basically the same beginning with the 250 cubic-inch six-cylinder and a selection of V8s that ranged from the standard 302 to Cleveland and Windsor series 351s, plus the new-for-1972 400. The 385-series V8 (the 429 for 1972-73; the 460 for 1974-76) was still available. However, all suffered from lower compression ratios to better meet new emissions standards. The 351 cu in (5.8 L) Cleveland could still be obtained in tuned 4-V Cobra Jet form through 1974. A four-speed manual transmission was available on Cobra Jet-powered GT models. 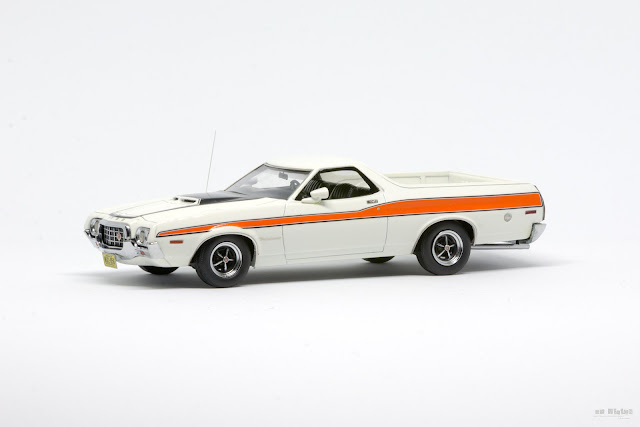 The 1973 Ranchero had a redesigned front end to meet new federal standards for front impact protection. 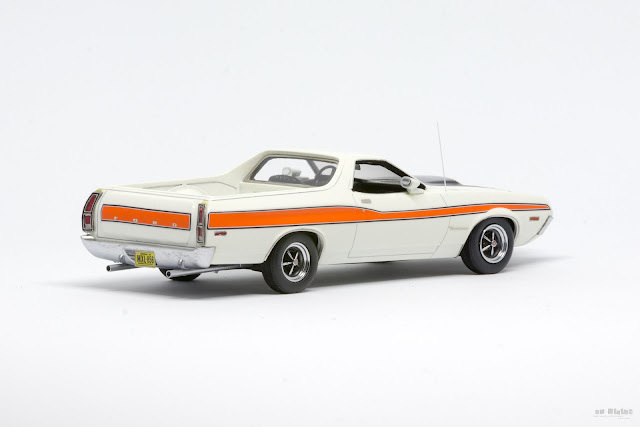 Aside from slight cosmetic differences, the Ranchero remained basically the same until the Torino's final year, 1976.